Are you ready for the CBH Homes 2018 December Design Studio Promo? Happy Holidays! When we saw the snow on December 1st, we knew it was already off to a magical start! We love December at CBH Homes! There are so many reasons to celebrate. 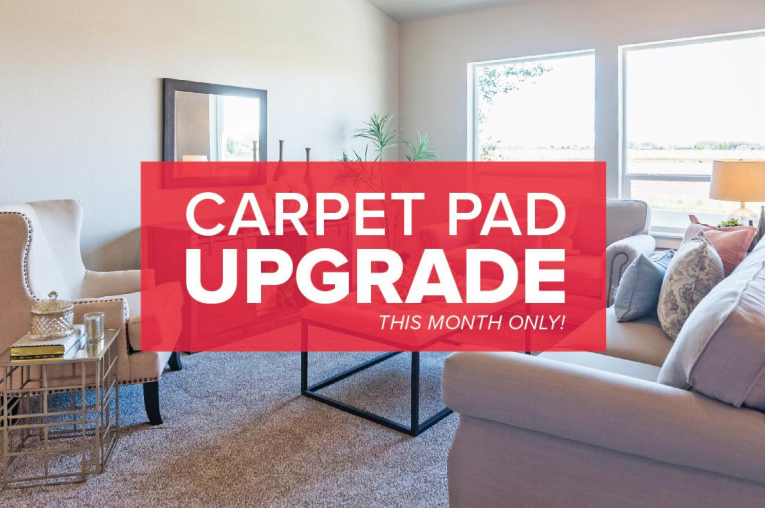 One of those reasons to celebrate is becuase… this month only, when you schedule and attend a preview appointment in the Design Studio, you’ll receive an upgrade for your Carpet Pad. Trust us, we’re doing a happy dance right there with you. We’re here to help. Your dream home is waiting! p.s. Have you heard about our Festival of Homes Promo?! Get up to 10k* towards Design Studio extras or Closing costs! Click here to learn more! *Some restrictions apply. See a CBH Design Studio Specialist for complete details. Must schedule and attend a preview in the Design Studio to receive the CBH Design Studio Promotion. This promo ends December 31st, 2018. Hurry and make an appointment to preview our Design Studio today. Broker cooperation invited. Marketed by CBH Sales & Marketing, Inc. RCE-923. Previous PostHi I’m New Here – Help me Find a CBH Home! Next PostBUY NOW, CLOSE BY THE NEW YEAR!!!! 1 DAY LEFT TO BUY! !